Did you see our advert in this week's edition of the Wirral News? 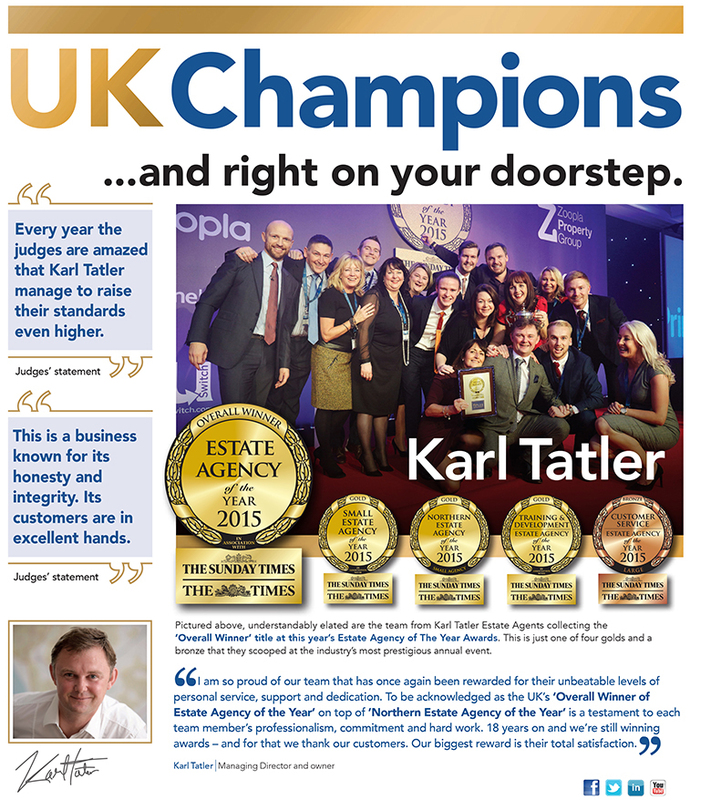 Our advert features our phenomenal awards success at the recent Estate Agency of the Year Awards 2015, where we received five awards, the pinnacle of which being the Overall Winner Estate Agency of the Year 2015 award, crowning us as the UK's leading estate agency. Read the full story here. The awards are testamount to the outstanding performance by our fantastic staff throughout the last year. This ensured that in 2015 we sold more properties than any other Wirral estate agent*. Our Lettings business also had an outstanding year, retaining the Customer Service Lettings Agency of the Year award for the second successive year. If you are thinking of selling your home or letting a property now is the perfect time to do it. With a new year, we have plenty of eager buyers or and tenants registered with us, searching for their ideal home. Why not register for a FREE market valuation with the UK's best estate agents? For more details, please contact your local office and we will be delighted to help.